A fiendishly fun and charming novel with the quirky appeal of a Pedro Almodóvar film—this feel-good read follows a tightly wound Englishman whose trip to Madrid takes an unexpected turn when he encounters a group of strong-minded women who will do anything to keep the jobs they love. Atticus Craftsman never travels without a supply of Earl Grey, an electric kettle, and a teacup—so he makes sure he has packed all three after his father, distinguished publishers of Craftsman & Co., sends him to Madrid to shut down a failing literary magazine, Librarte. But when nobody has heard from Atticus in three months, his father knows something must be very wrong. Fortunately, Inspector Manchego is on the case. Manchego gets to work unraveling the mystery of the Englishman’s disappearance, but there to block him at every turn are the five fiery and close-knit Spanish women who run Librarte and must devise a plan to save the magazine. A botched kidnapping and the rumored discovery of a trove of long-lost Federico García Lorca poems propel Atticus—with Manchego hot on his trail—on a madcap journey through the narrow streets of Madrid and down to the bohemian heart of Andalucía. Sánchez spellbinds us with larger-than-life characters and heartfelt emotions in this charming tale of clashing cultures and unlikely romance. The Altogether Unexpected Disappearance of Atticus Craftsman is at once a humorous, literary caper and a touching love story, marking for an altogether clever and delightfully different read. International bestselling author Mamen Sánchez is the deputy editor of ¡Hola! Magazine in Spain and editor of ¡Hola! Mexico. She has published five novels; The Altogether Unexpected Disappearance of Atticus Craftsman is the first to be published in English. She lives in Madrid. What a fabulous read! It’s rare to find a comic novel anywhere, especially one with such unexpected and appealing characters. I can see it at a great musical, but much more outrageous than Mamma Mia! Written with verve and wit! For Anglophiles and lovers of everything British, this literary dive into a genuinely quirky and amusing English mystery will leave you delighted. . . .This laughter-inducing adventure of the journey to save Atticus will leave readers with a warm heart and a craving for English tea. A charming story that works its way into your heart. 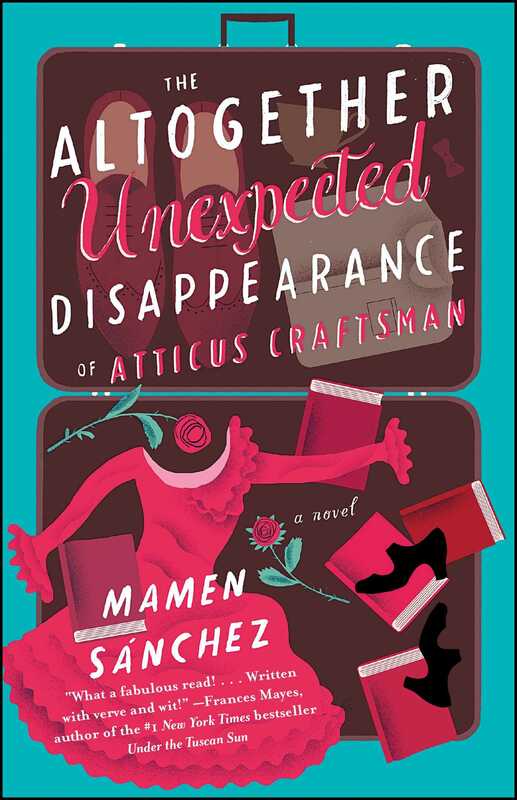 Humorous, romantic, and utterly charming, The Altogether Unexpected Disappearance of Atticus Craftsman is a getaway in book form. Sanchez knows how to tell a story as well as how to make sure her characters have spark and depth—a real delight. A highly entertaining story of corporate fraud, literary intrigue and cross-cultural romance in her fifth novel (and first published in English). With a breezy narrative style and plenty of plot twists, Sánchez crafts a complicated story with a light touch. . . . Mamen Sánchez's novel spins an entertaining story of a hapless Englishman in Spain, caught up in literary mystery and romantic intrigue. Filled with literary references, including the ghost of J.R.R. Tolkien, this is a romp perfect for book nerds. There is no denying the energy and charm that set this novel apart from the pack. . . . A novel that defies categorization.